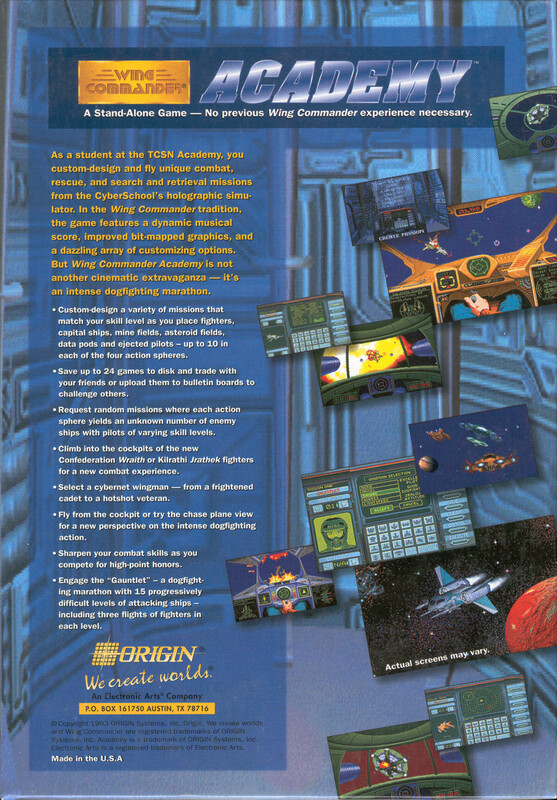 Wing Commander Academy was a mission simulator built on the Wing Commander II engine. 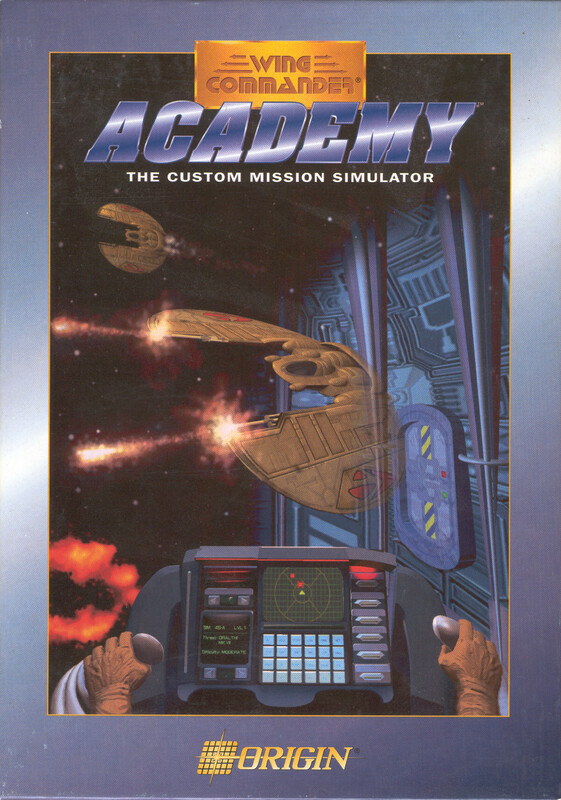 Before there was a world wide web where modders created and shared tools to manipulate their favorite games, Academy let Wing Commander fans easily play around and create custom scenarios on their own. The game had an addictive high score gauntlet mode and introduced the fastest Confed fighter to date, the Wraith. Academy also gave people their first look at the insides of the Kilrathi cockpit since the Dralthi II in Secret Missions 2. Oddly enough, the Dralthi VIIs pictured on the box cover were not featured in this simulation or any of the games based upon the WC2 engine. As a student at the TCSN Academy, you custom-design and fly unique combat, rescue, and search and retrieval missions from the CyberSchool's holographic simulator. In the Wing Commander tradition, the game features a dynamic musical score, improved bit-mapped graphics, and a dazzling array of customizing options. But Wing Commander Academy is not another cinematic extravaganza -- it's an intense dogfight marathon. The original can be found on various auction sites and works well in DOSBox. The easiest way to enjoy the game on a modern computer and operating system, is to buy it as a digital download from Good Old Games.